I think by now everyone knows how much I dislike water in my products. But I totally love to put my skin-loving goodies on wet skin – it just makes them get deeper into the skin layers and the feel afterwards is amazing. Plain water is great (mind you we enjoy rain water), but floral waters take it to a new level. Call them floral waters, hydrosols or herbal waters, it is the same thing. And they are a fantastic addition to skin care. Even if I quite like the ‘floral water’ appellation, it’s not quite right as you can have wood essences like sandalwood water. And a floral water is not water infused with flowers. Hydrosol or hydrolate sounds quite technical to me. And there are 2 different terms which denominate the same thing. What are floral waters then? 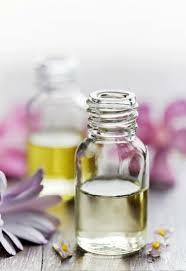 A floral water is a by-product of the essential oil steam distillation process. It’s the water left behind after the essential oil gets separated from, however it’s not plain water, it contains traces of the processed essential oil. It’s a beautiful water to use liberally on your body. And it smells magnificent! Should I say more about how much I love floral waters? My absolute favourite is actually a combination of rose water and sandalwood water. I just couldn’t settle for only one of them, so I mixed them and loooove the scent. Not to mention the amazing effect on the skin! While I don’t actually like rose otto or rose absolute as such – the scent is so strong that I feel like it suppresses my nostrils – I find rose water absolutely delightful. About my love for sandalwood I’ll talk in a future post soon. In the meantime I am looking forward to hearing what YOUR favourite floral water is.